News about MMBioS and MMBioS team members. Ms. Jenea Adams, a visiting undergraduate student from the University of Dayton worked with Ivet Bahar and her team this summer using ProDy to investigate the characteristics of binding and allosteric sites in proteins. 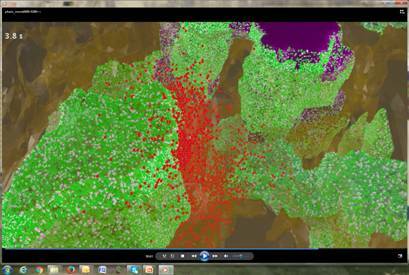 In her 10-week project, Jenea used Anisotropic Network Modeling (ANM), perturbation response scanning, and statistical and conformational analyses on 768 protein complexes from the PDB to look for correlations of residue identities as sensors or effectors with their locations within the three dimensional protein structures. She found that sensor residues have a higher propensity to reside at protein-protein interfaces than their effector counterparts. Her results have implications for additional insights into more effective drug design and the mechanisms of allostery. 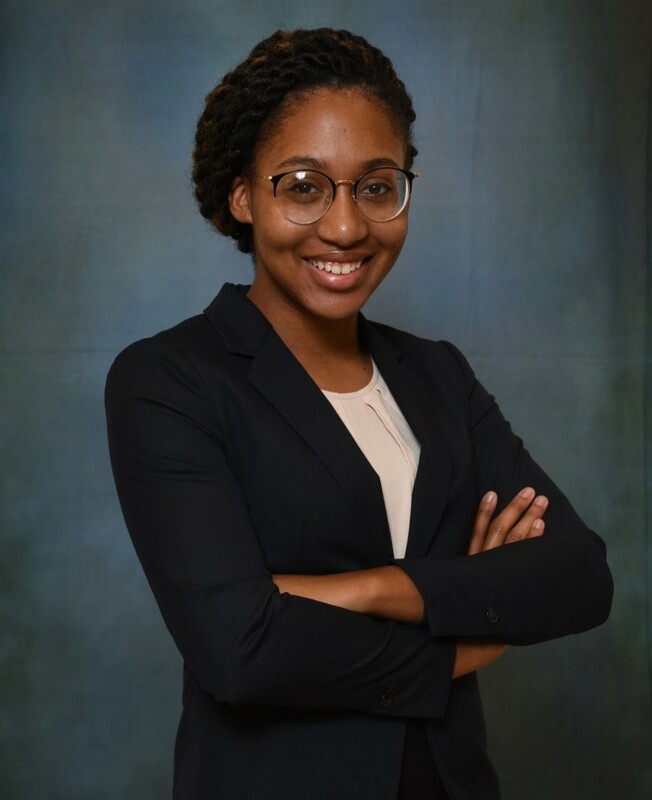 Jenea’s work was selected for presentations at two conferences – the Research Experiences for Undergraduates (REU) Symposium in Arlington, VA (https://www.cur.org/what/events/students/reu/) and the Annual Biomedical Research Conference for Minority Students (ABRCMS; http://www.abrcms.org/). Top (left to right): Gabrielle LaRosa, Dominique Cantave, Gabrielle Coffing, Naina Balepur, Jenea Adams, Jason Dennis, Alex Ludwig, Tom Dougherty. Bottom: Lauren Petrina, Olivia Campos, Joseph Monaco, Caleb Reagor, Gabriella Gerlach, Jack Zhao. 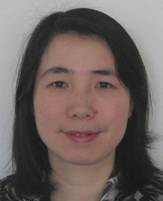 She Zhang, a student in Dr. Ivet Bahar's lab, will be presenting a Special Session talk at this year's ISMB conference on Saturday, July 7 at 5:45 pm. Understanding the three-dimensional (3D) architecture of chromatin and its relation to gene expression and regulation is fundamental to understanding how the genome functions. Advances in Hi-C technology now permit us to study 3D genome organization, but we still lack an understanding of the structural dynamics of chromosomes. The dynamic couplings between regions separated by large genomic distances (>50 Mb) have yet to be characterized. 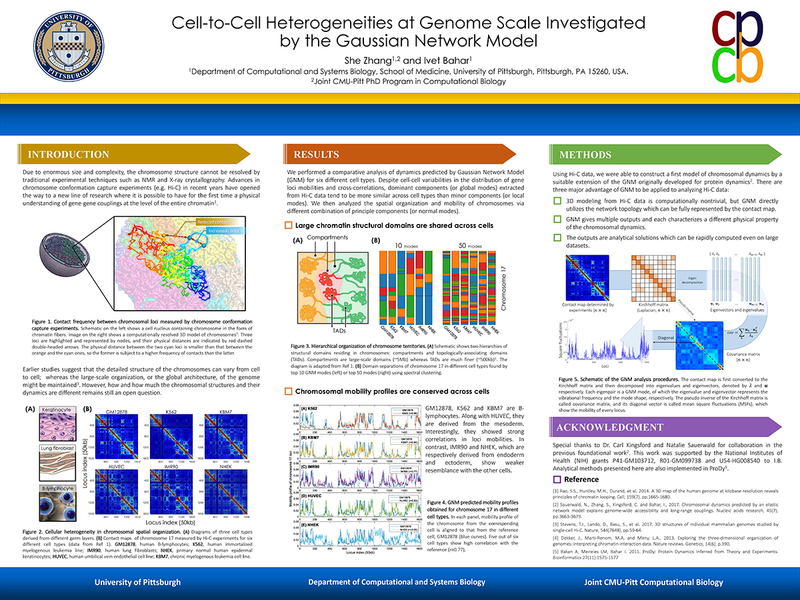 We adapted a well-established protein-modeling framework, the Gaussian Network Model (GNM), to model chromatin dynamics using Hi-C data. We show that the GNM can identify spatial couplings at multiple scales: it can quantify the correlated fluctuations in the positions of gene loci, find large genomic compartments and smaller topologically-associating domains (TADs) that undergo en bloc movements, and identify dynamically coupled distal regions along the chromosomes. We show that the predictions of the GNM correlate well with genome-wide experimental measurements. We use the GNM to identify novel cross-correlated distal domains (CCDDs) representing pairs of regions distinguished by their long-range dynamic coupling and show that CCDDs are associated with increased gene co-expression. Together, these results show that GNM provides a mathematically well-founded unified framework for modeling chromatin dynamics and assessing the structural basis of genome-wide observations. Terry Sejnowski, computational neuroscientist at the Salk Institute for Biological Studies, president of the Neural Information Processing System (NIPS) Foundation and project co-leader for the MMBioS TR&D2 project, was interviewed at the NIPS Conference in December about growth in machine learning. 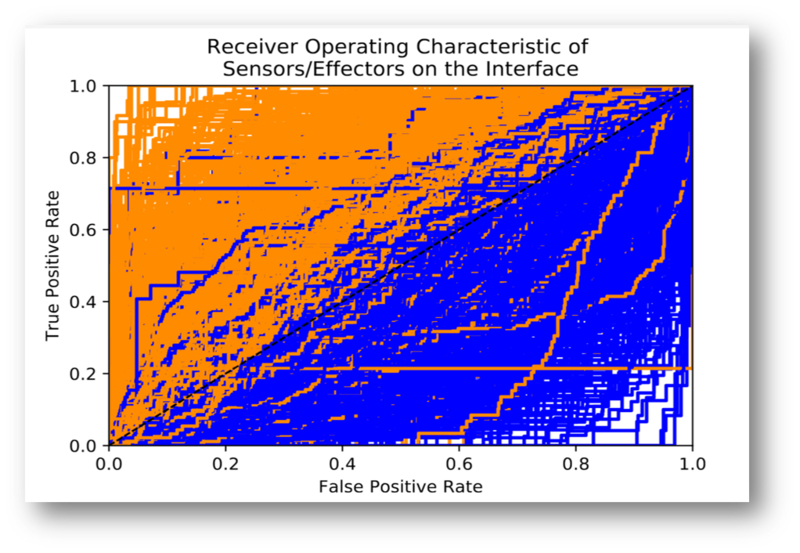 Machine learning is a core technology driving advances in artificial intelligence. This week, some of its earliest practitioners and many of the world's top AI researchers are in Long Beach, CA, for the field's big annual gathering—the Neural Information Processing Systems (NIPS) conference. In all, some 7,700 people are to attend AI's version of high tech's glitzy South by Southwest conference, and the electronic device industry's even bigger annual CES conference. It's NIPS' 31st year in what originally drew just a few hundred participants — computer scientists, physicists, mathematicians and neuroscientists all interested in AI. Terrence Sejnowski, a computational neuroscientist at the Salk Institute for Biological Studies and president of the NIPS Foundation, spoke with Axios about growth in the field and what's next. How machine learning has grown since NIPS' start in the '80s: "Over that period what happened was a convergence of a number of different factors, one of them being the fact that computers got a million times faster. Back then we could only study little toy networks with a few hundred units. But now we can study networks with millions of units. The other thing was the training sets — you need to have examples of what it is you're trying to learn. The internet made it possible for us to get millions of training examples relatively easily, because there's so many images, abundant speech examples, and so forth, that you can download from the internet. Finally, there were breakthroughs along the way in the algorithms that we used to make them more efficient. 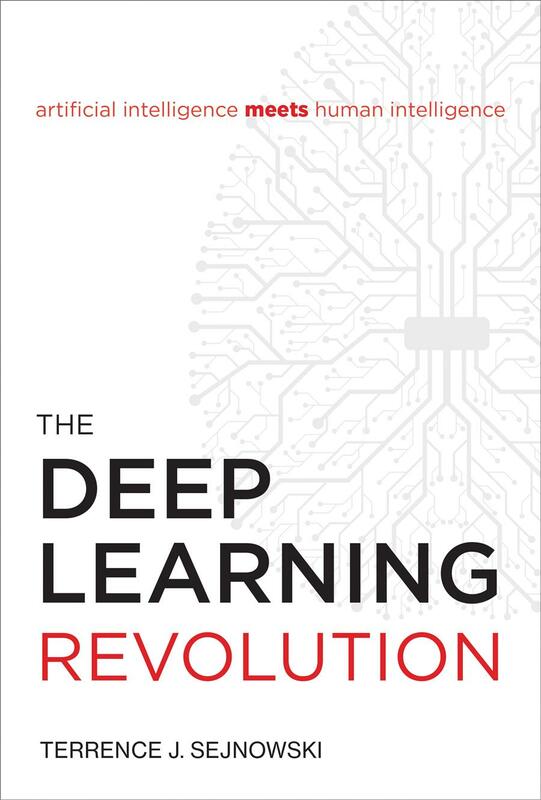 We understood them a lot better in terms of something called regularization, which is how to keep the network from memorizing — you want it to generalize." We are happy to announce that MMBioS has been renewed for five years by the NIH's National Institute of General Medical Sciences (NIGMS). 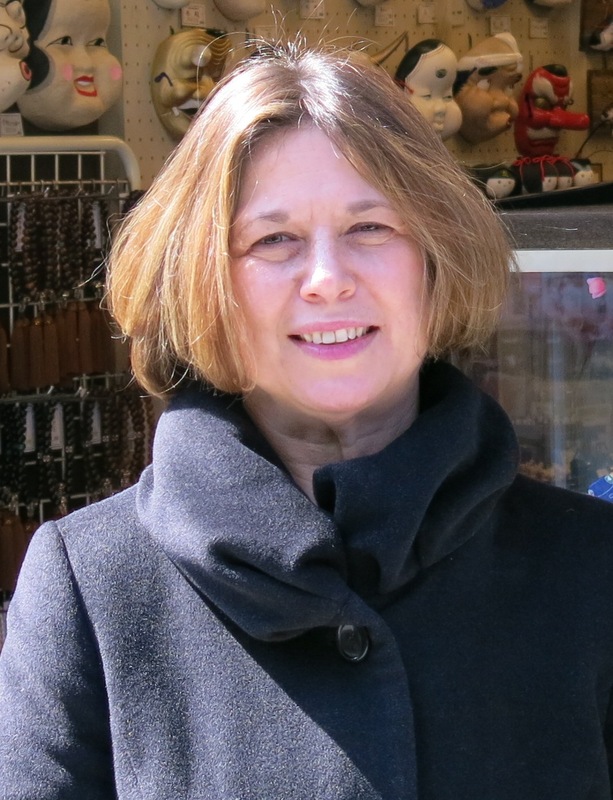 The life and career of Ivet Bahar, MMBioS PI and Director, has been profiled by the Biophysical Society. We are pleased to announce that our partner outreach program, the Training and Experimentation in Computational Biology (TECBio) Research Experiences for Undergraduates (REU) program (www.tecbioreu.pitt.edu) has been recommended for a 4-year renewal by the National Science Foundation. TECBio provides a graduate-level research experiences to a diverse group of students, who are mentored in part by our MMBioS Investigators. We look forward to a continued successful partnership with this important program for our nascent scientists. As MMBios enters its 5th year, we took some time to reflect on the impact that our Resource has had. We are bolstered by the extensive use of our technologies and software by investigators both inside and outside of MMBioS. 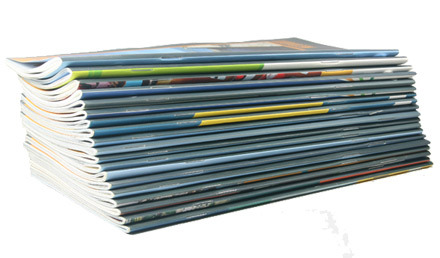 To date, over 120 publications have acknowledged the MMBioS award, and these high quality papers have already been cited over 550 times! We look forward to the advances that lie ahead and to the sustained impact of MMBioS! MCell version 3.4 has been released. For more information on MCell and to download version 3.4, see the MMBioS software page. Dr. Ivet Bahar was invited to participate in a workshop and give a talk at the White House for the National Strategic Computing Initiative (NSCI). On July 29, 2015, the President issued an Executive Order creating the NSCI, a whole-of-Nation effort to maximize the benefits of high-performance computing (HPC). The workshop brought together 75 leaders from industry, academia, and government to discuss opportunities of HPC and solutions to the challenges faced. Dr Bahar participated in the meeting as one of the three invited speakers from academia. She presented her perspective on what is the state-of-the-art in computational biology using her NIH-funded Biomedical Technology and Research Center’s focus as a lens, and discussed current challenges that could be addressed by exascale computing through NSCI. The title of her talk was, “Exascale Computing for Multiscale Modeling and Big Data in Biology”. Two MMBioS team members recently completed their Ph.D. work. Congratulations to Dr. Rory Donovan, who successfully defended his thesis, “Efficient Sampling in Stochastic Biological Models” on May 31. 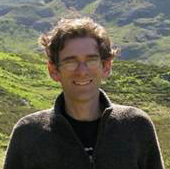 Rory joined CPCB following his MS in Physics at U. of Washington, and his BA in Physics at Reed College, and was advised by CPCB co-Director Dr. Daniel Zuckerman. Rory came back to Pittsburgh to defend his thesis, as he had already begun his position as a postdoctoral fellow in the lab of Dr. Nathan Price at the Institute for Systems Biology in Seattle. In addition to celebrating his PhD, we are also eagerly awaiting news of the arrival of his first child! Congratulations to Jose for successfully defending his dissertation, “A study on systems modeling frameworks and their Interoperability”. Jose was a member of the Faeder lab during his time at CPCB, and now will continue to work with Jim. Dr. Daniel Zuckerman (PI), in collaboration with Dr. Lillian Chong (PI) and Dr. James Faeder (Co-I), was awarded an NIH R01 grant for $1.3 million over 4 years. The grant is titled “High-Performance Weighted Ensemble Software for Simulation of Complex Bio-Events”. MMBioS investigators Bob Murphy (Carnegie Mellon University) and Christoph Wülfing (University of Bristol) have just received grants from a new program encouraging collaboration between U.S. and U.K. investigators. The program, run jointly by the U.S. National Science Foundation (NSF) and the U.K. Biotechnology and Biological Sciences Research Council, allows the investigators to submit a single proposal that is reviewed by only one of the agencies: if it scores highly, the second agency simply accepts the recommendation of the first. The project builds on initial work funded by NSF and subsequent work done through MMBioS that led to a recent major paper in Science Signaling. The project will involve analyzing fluorescence microscope movies to create spatiotemporal maps of proteins involved in signaling by T cells, a key component of the immune system. 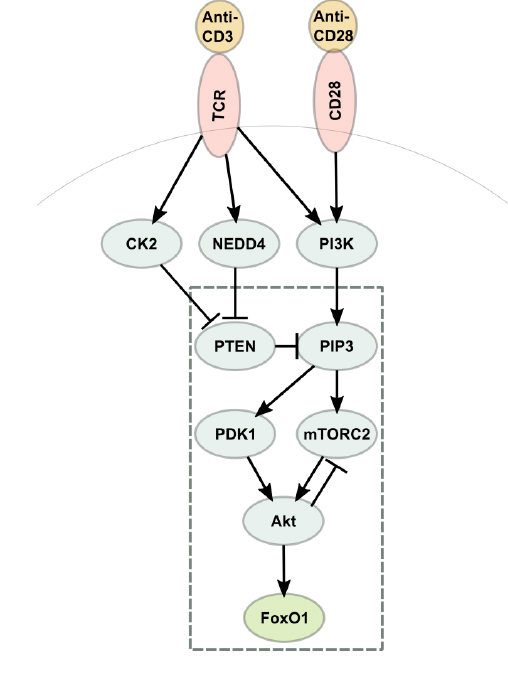 The maps will be combined with data on cell-wide protein phosphorylation and used both to infer potential signaling complexes, and to estimate the apparent affinities and potential causal relationships amongst proteins involved in T lymphocyte signaling. 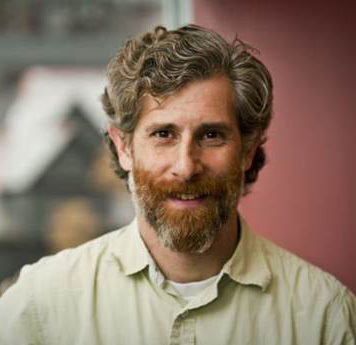 Dr. Joseph C. Ayoob has been promoted to Associate Professor in the department of Computational and Systems Biology at the University of Pittsburgh. Joe has been with the department since July 2009 and has done invaluable work with our educational programs and scientific outreach. 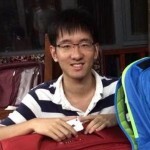 Dr. Bing Liu has been promoted to Research Assistant Professor in the department of Computational and Systems Biology at the University of Pittsburgh. Bing has been with the Bahar lab since 2013. He works to develop computational modeling, simulation and analysis techniques to study the dynamics of biological systems. The Society for Neuroscience (SfN) will award the Swartz Prize for Theoretical and Computational Neuroscience to Terrence Sejnowski, PhD, of the Salk Institute for Biological Studies. 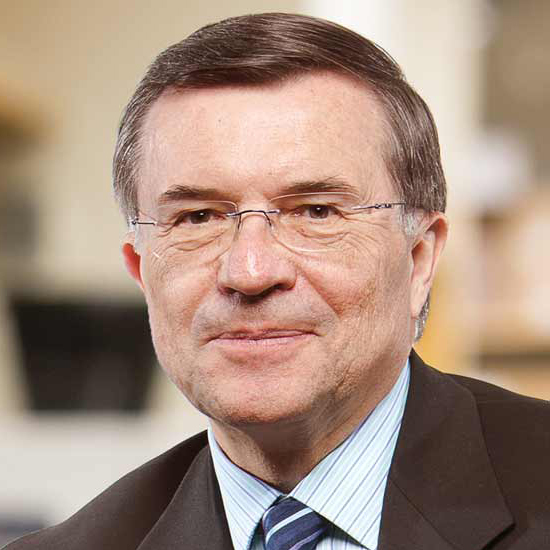 Dr. Sejnowski is also a member of the MMBioS Executive Committee and co-leader of the TR&D2 project. 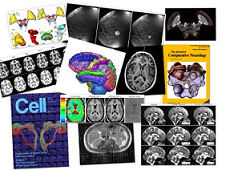 The $25,000 prize, supported by The Swartz Foundation, recognizes an individual who has produced a significant cumulative contribution to theoretical models or computational methods in neuroscience. The National Institute for Mathematical and Biological Synthesis has announced support for a working group on Spatial Cell Simulation based on a proposal by Bob Murphy and Jim Faeder, both of whom are project leaders in MMBioS. Systems biology emphasizes the creation of mathematical or computational models of biological systems such as cells and tissues, as a means both to integrate all available information and to make predictions about unmeasured mechanisms or behaviors. 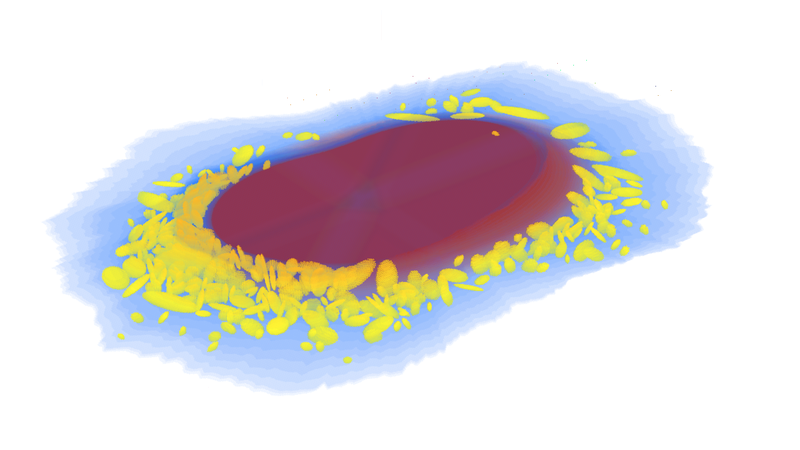 The working group will address critical challenges currently faced in creating mathematical/computational simulations of the inner workings and dynamics of eukaryotic cells that reflect realistic cell architecture, especially for accurately simulating changes in cell shape and organization over time. times per year to develop new approaches to these problems, implement them in software, develop proposals for future funding of such research, and develop training materials for biomedical researchers. The first meeting will be December 1-3, 2015. Dr. Ivet Bahar comments on the MMBioS collaboration in a Genetic Engineering & Biotechnology News article: Read More. MCell version 3.3.0 has been released. For more information on MCell and to download version 3.3.0, see the MMBioS software page. 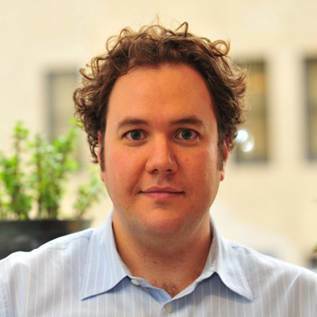 MMBioS PI Markus Dittrich and collaborators Stephen Meriney (University of Pittsburgh) and Thomas Blanpied (University of Maryland) have been awarded CRCNS funding from the NINDS for their proposal entitled "Transmitter Release Site Organization in Plasticity and Disease at the NMJ". The implications and wide impact of the research undertaken by MMBioS and the Bahar lab are highlighted in an article in International Innovation, a research report which covers health and biology research and development being conducted worldwide. Clay Reid, Senior Investigator at the Allen Institute for Brain Science and an MMBioS collaborator, is featured in a recent New York Times article, "The Brain's Inner Language." The article is part of The Mapmakers, a science series at the paper dealing with the human mind. Ivet Bahar, MMBioS PI and Director, has been honored with a 2014 Chancellor's Distinguished Research Award from University of Pittsburgh Chancellor Mark Nordenberg. See the announcement at http://www.chronicle.pitt.edu/story/chancellor's-teaching-research-and-service-awards-announced. 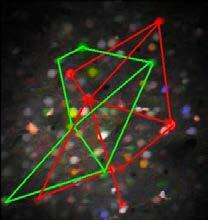 A short video on MMBioS was featured at the 58th annual meeting of the Biophysical Society. The meeting was held February 15 - 19, 2014, in San Francisco, California. MCell version 3.2.1, containing bug fixes and enhancements, has just been released. For more information about MCell and to download version 3.2.1, see the MMBios software page. A major new release of the CellOrganizer system for creating image-derived models of cell shape and organization has just been published. 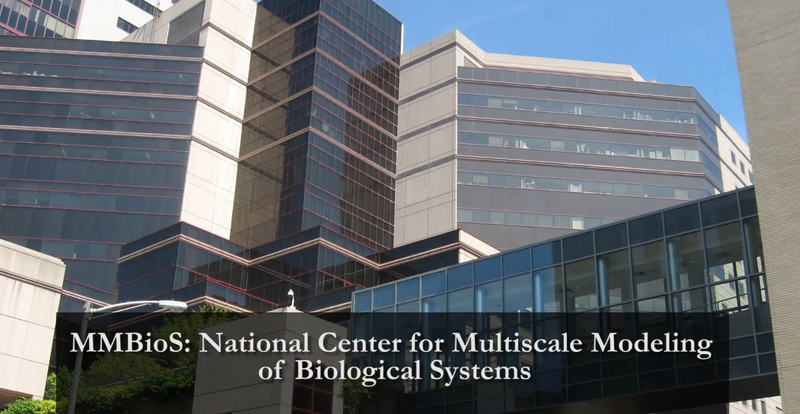 The software is a major focus of research supported by the NIH through the National Center for Multiscale Modeling of Biological Systems (MMBioS). It creates statistical, generative models of cell and nuclear shape, microtubule patterns, and vesicular organelles that can be used as the basis for cell simulations (another focus of MMBioS). Generative models capture not just a description of a pattern but the ability to produce new examples of that pattern (analogously to the way in which humans capture models of letters or spoken words not just by describing them but by learning to produce new examples). Support for CellOrganizer has also come from NIH grants GM075205 and GM090033. 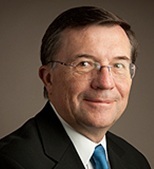 LA JOLLA, CA—Salk researcher Terrence J. Sejnowski, professor and head of the Computational Neurobiology Laboratory, has been elected a Fellow of the American Academy of Arts and Sciences, a distinction awarded annually to global leaders in business, government, public affairs, the arts and popular culture as well as biomedical research. 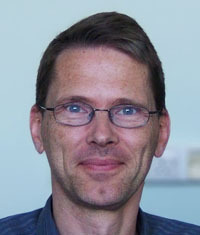 Sejnowski is world renowned as a pioneer in the field of computational neuroscience and his work on neural networks helped spark the neural networks revolution in computing in the 1980s. 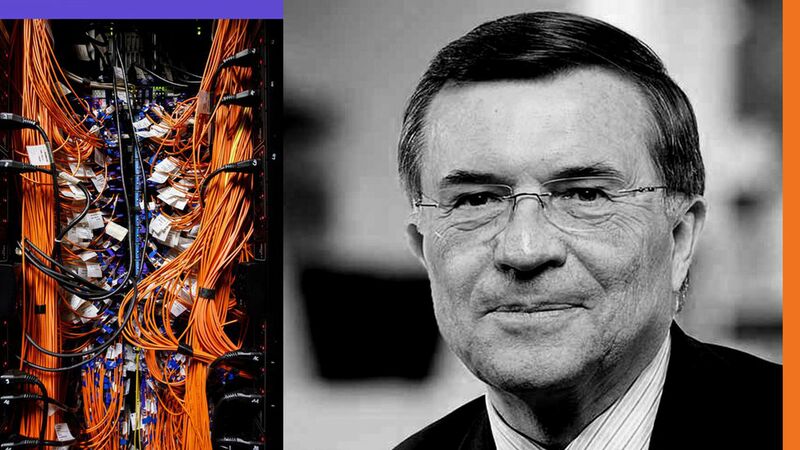 His research has made important contributions to artificial and real neural network algorithms and applying signal processing models to neuroscience. A valuable resource for MMBioS researchers is now "in the cloud". A library of tools for analyzing brain images and related data has moved to the “cloud,” potentially enabling faster and cheaper analysis and hypothesis-testing. 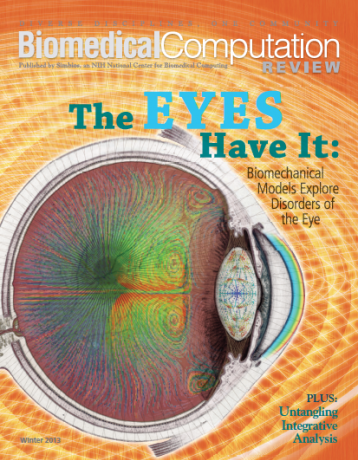 MMBios Featured in Biomedical Computation Review, highlighting Big Data by "Bridging Gaps in Multiscale Modeling"
PITTSBURGH, Nov. 30, 2012 – The University of Pittsburgh School of Medicine, Carnegie Mellon University (CMU), the Pittsburgh Supercomputing Center (PSC) and the Salk Institute for Biological Studies (Salk) have been awarded a five-year, $9.3 million grant from the National Institutes of Health (NIH) to establish the Biomedical Technology Research Center (BTRC) that will develop computational tools for modeling and simulating biological systems from the tissue level down to the molecular level.